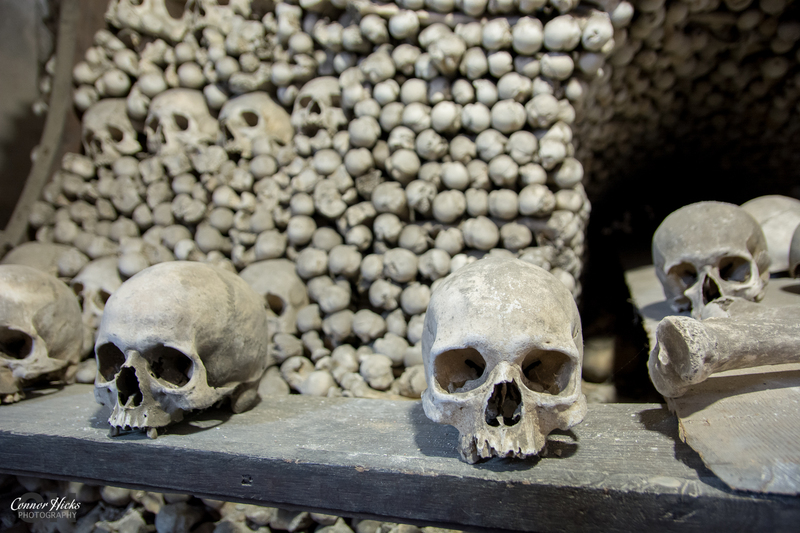 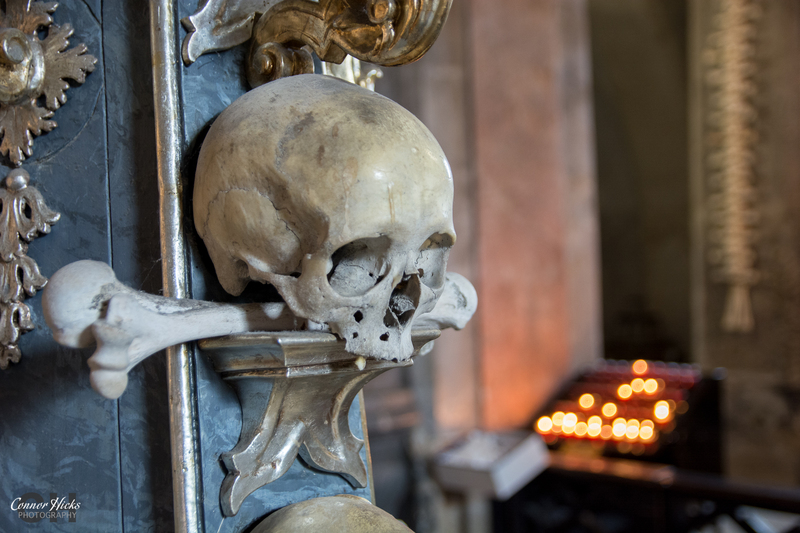 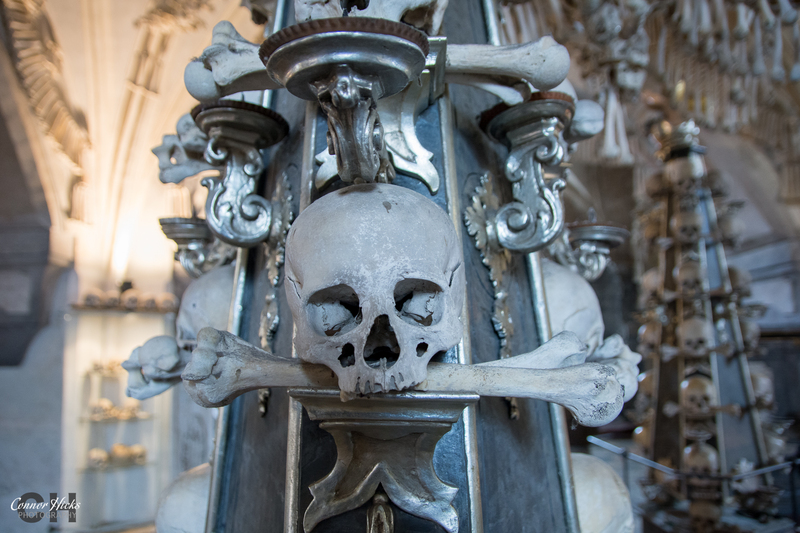 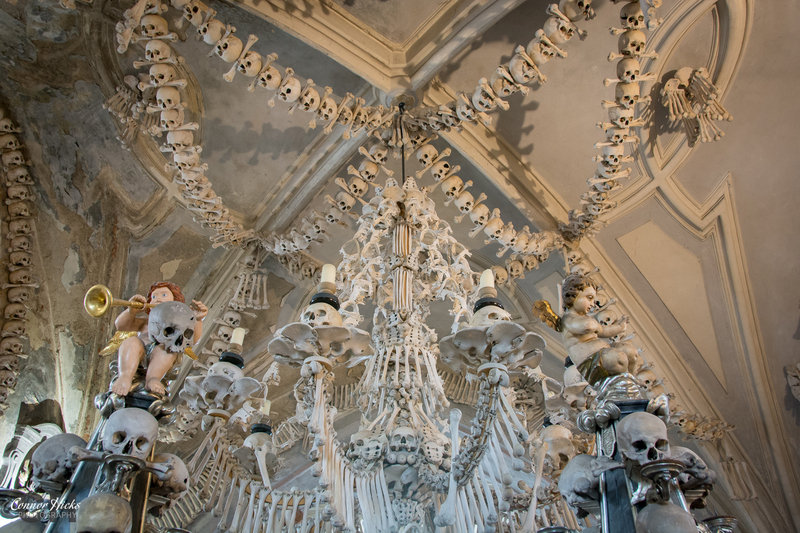 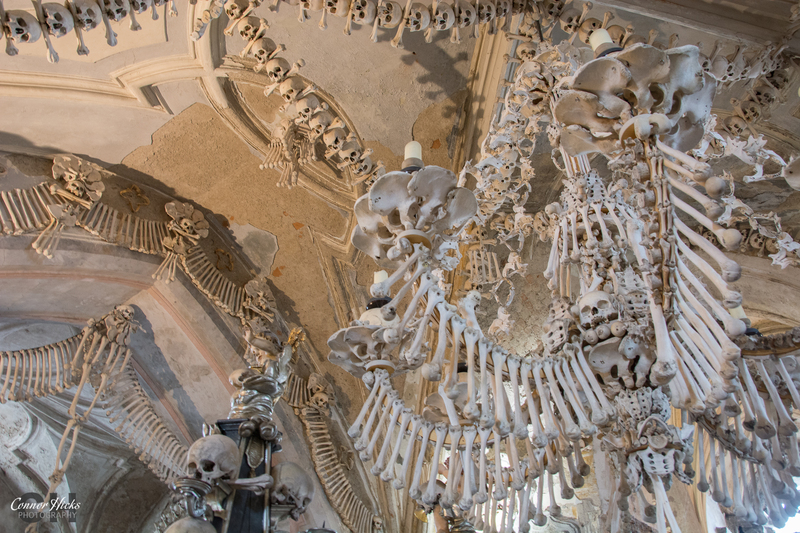 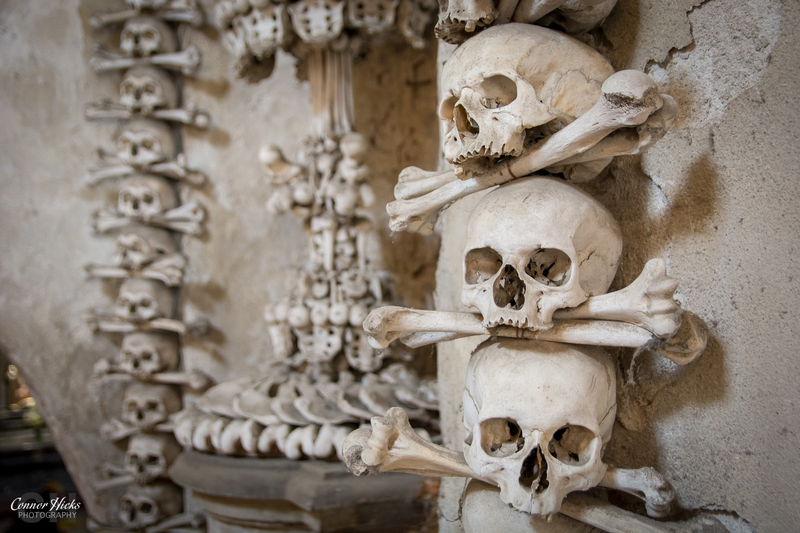 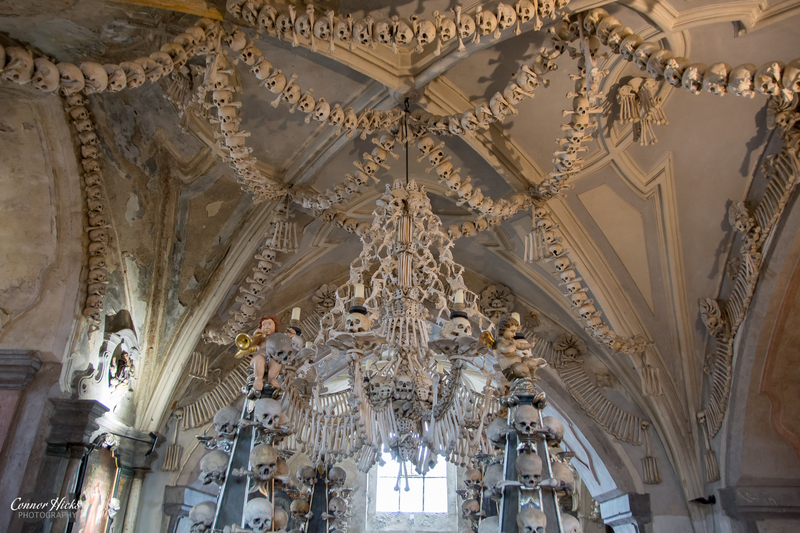 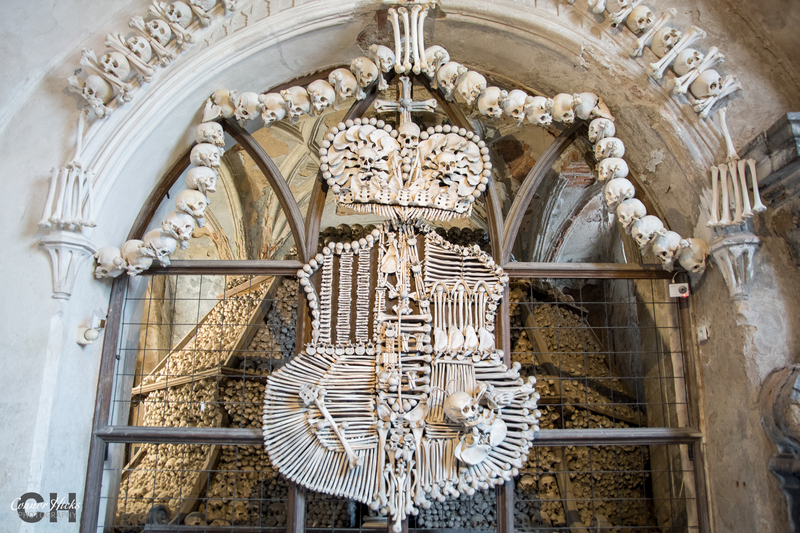 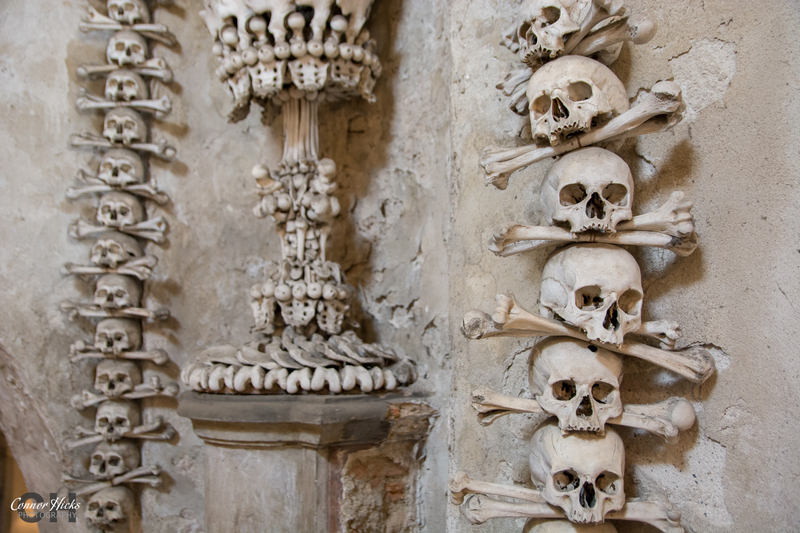 The Sedlec Ossuary is artistically decorated by more than 40,000 human skeletons, many of whom died in the plague in 1318 and during the Hussite Wars in the 15th century. 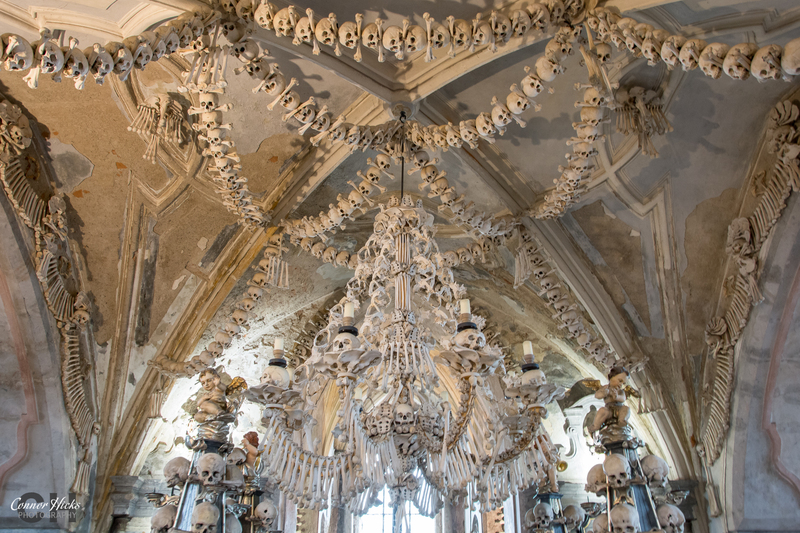 One of the most fascinating artistic works inside the Ossuary is the big chandelier of bones that lies in the center. 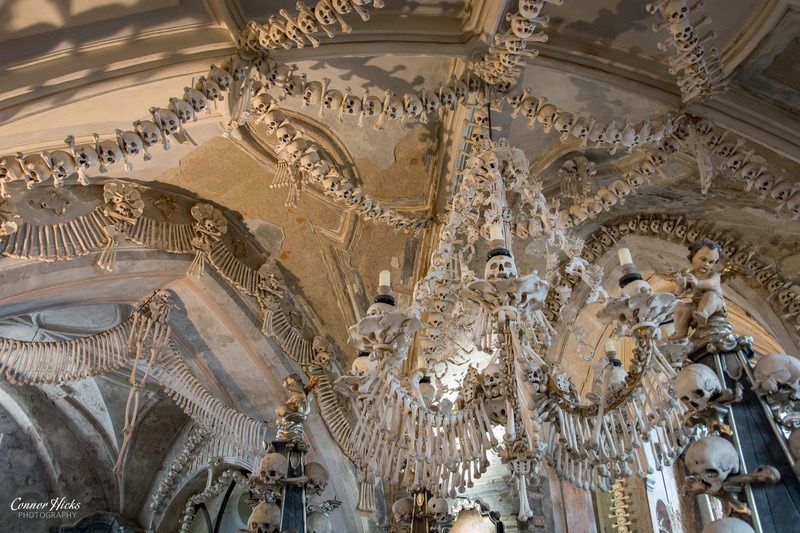 The immense chandelier contains at least one of every human bone.